Stassinopoulos, Agapi. 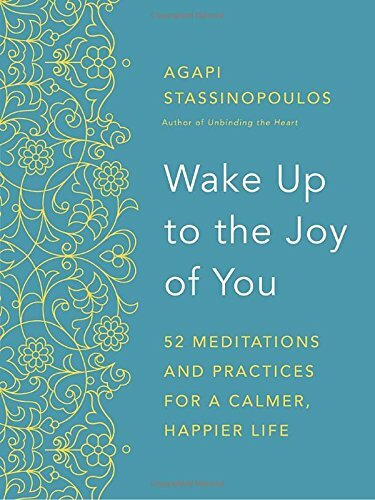 Wake Up to the Joy of You: 52 Meditations and Practices for a Calmer, Happier Life. 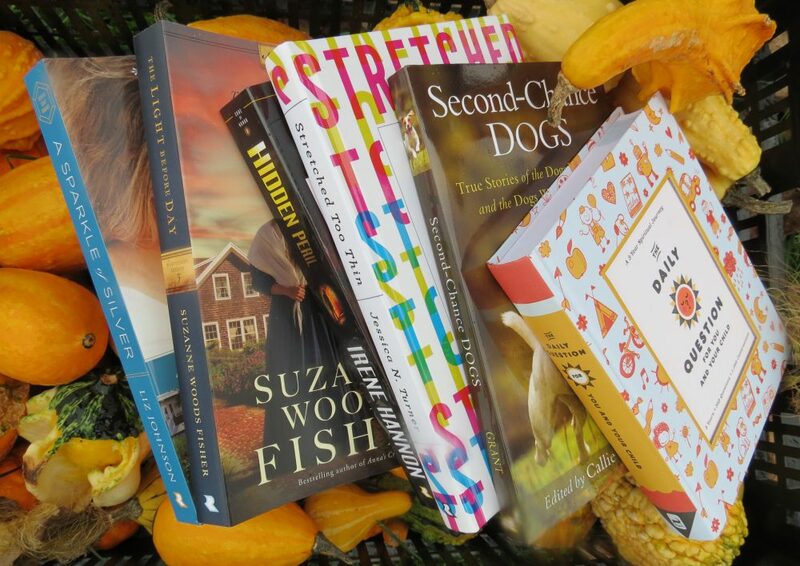 USA: Harmony Books. 2016. Filled with 52 meditations for a calmer, happier life, Wake Up to the Joy of You is filled with practices, thoughts, ideas, intentions, compassion, and encouragement to love yourself while being yourself. Each chapter begins with a corresponding quote, a personal story, guided meditation and/ or suggestions for the week. Filled with positive thoughts, gentle methods, helpful lessons, and self-compassion, author Agapi Stassinopoulos makes the journey easy to self-discovery and a life filled with joy. With life so full of negativity, busyness, guilt and self-doubt, this book is a wonderful reminder that grace, joy, peace and spirit live within each of us…they may just need to be discovered and brought to the forefront. A beautiful hard-cover book which is broken into sections on self-care, roadblocks, and conflict, Wake Up to the Joy of You celebrates the real you that you were meant to be. I plan on using this book throughout the year to rediscover my true self underneath all the busyness, hurriedness, and craziness that is part of life. As my word for the year (as well as my middle name-Joy), this book will couple perfectly with my devotional book. This entry was posted in Christian Books, Christian Devotional, Healthy Lifestyle and tagged Christian, Christian Author, Christian Book Review, Christian Contemporary, Christian Non-fiction, Devotional, Health, Healthy Lifestyle, Inspirational, Joy, Me, Meditation by Savurbks. Bookmark the permalink. What a good book for you about JOY as that is your word for the year!!!! I know, right? A weekly reminder of finding JOY! Thanks for visiting!